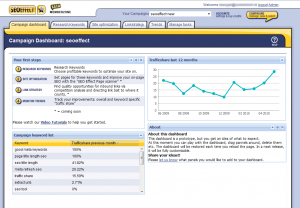 SEO Effect Software is a new package of tools to help cut out a lot of the SEO complication. A new tool being developed by a team of Dutch SEO experts, SEO Effect has a great deal of potential to get your site where you want it to be. Let’s take a look at what it can do and how that will help your site. Keyword research. Like all tools of this type on the market, SEO Effect allows you to provide your own list of keywords or extract them from Google’s database. Unlike most of it’s competitors however, it also allows you to “rip” keywords from a URL. In other words, you can put in a competitor’s website and see what keywords that competitor is using and how difficult it will be to rank against them. In addition to simply researching the keywords, SEO Effect allows you to set keywords that you want to monitor. This can a huge time saver. In the ever-changing world of SEO, there’s always a constant scramble for those coveted top 5 search engine spots. With your average keyword tool, you’re forced to run a full analysis on the keywords each time you want a snapshot of what’s going on with that keyword. With SEO Effect’s monitoring ability, every time you open it up and look at those keywords, you can get an up to date picture of what is going on with those terms. Visitor traffic monitoring. Everyone who is interested in a SEO tool wants his or her web site to bring a profit at some point. The sophisticated traffic analysis that SEO Effect is capable of allows you to tailor your website to get the desired result from your web site visitors, whether that result is clicking adsense ads, affiliate sales, or anything else. – It offers very handy options that other tools on the market simply don’t have. This could give you a competitive edge. 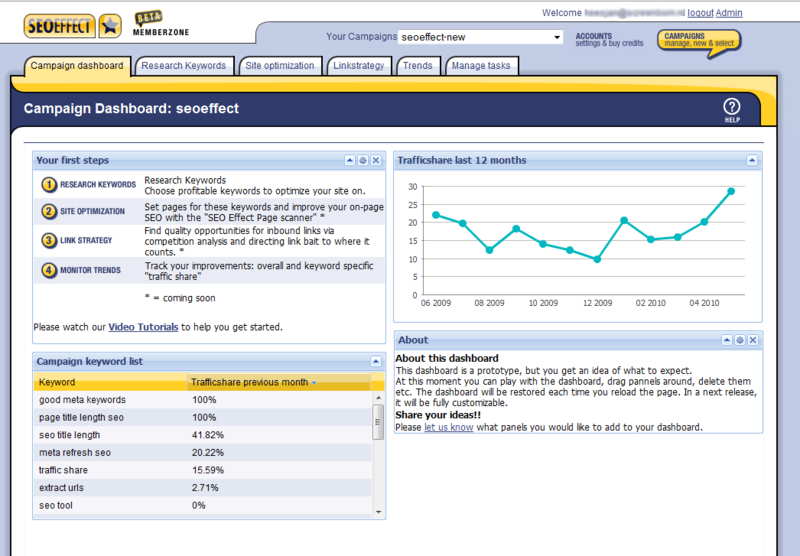 – As the development team continues its work, SEO Effect promises to grow into an all-in-one tool to meet any SEO need. – Free trial. This is huge. Unlike tools where you’re forced to pay your hard earned cash just to find out if the tool will meet your needs, SEO Effect allows you the option of taking it out for a test drive. – There are minor issues (like a time intensive manual system for sorting the best keyword for your web site) that some could find annoying. On the plus side, the development team is no doubt aware of these issues and working to eliminate them. – The biggest con is that SEO Effect is a work in progress. At this point in time, it is not that one-stop solution that it will eventually be. The developers might have been better off simply not mentioning the future capabilities because what it can already do is quite impressive. While it is impossible to judge the capabilities that have not been implemented yet, the 2 modules that are functional are enough to give anyone a competitive edge. For the existing capabilities, we give SEO Effect a 4 out of 5. If the developers can make a couple of minor user friendliness fixes, SEO Effect might become a perfect weapon in your SEO arsenal.